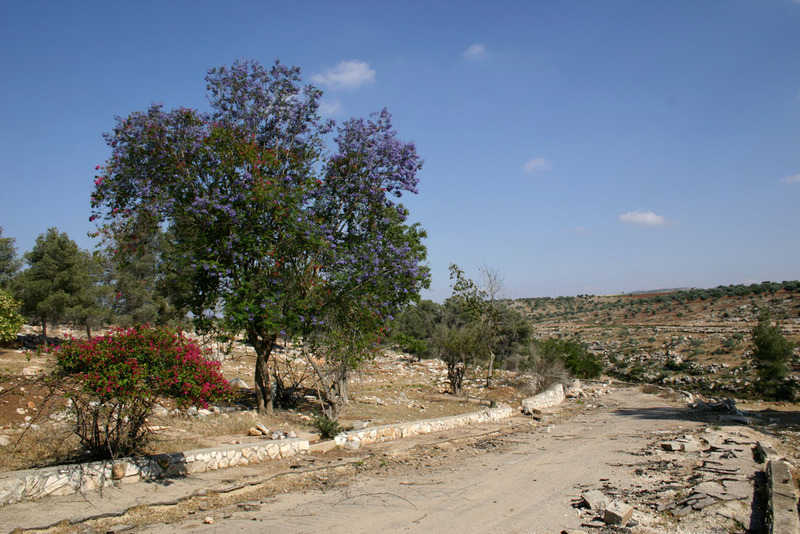 The former settlement Gannim is located near the former settlement Kaddim, in the Jenin district. 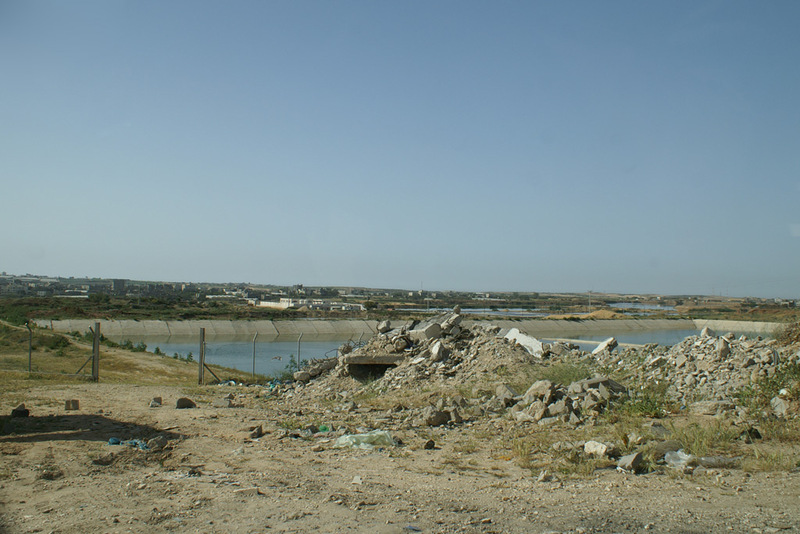 According to the Palestinians we met in Kaddim, its actual situation is very similar to the one of Kaddim: it was evacuated in 2005, the prefabricated houses were completely removed and just roads and some foundations were left behind. 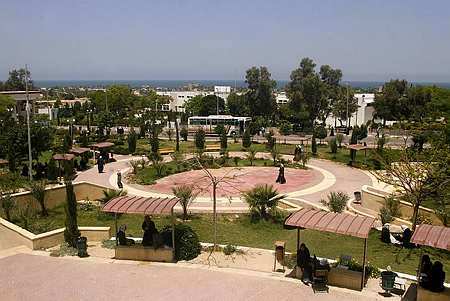 Palestinians now use it as a public park. 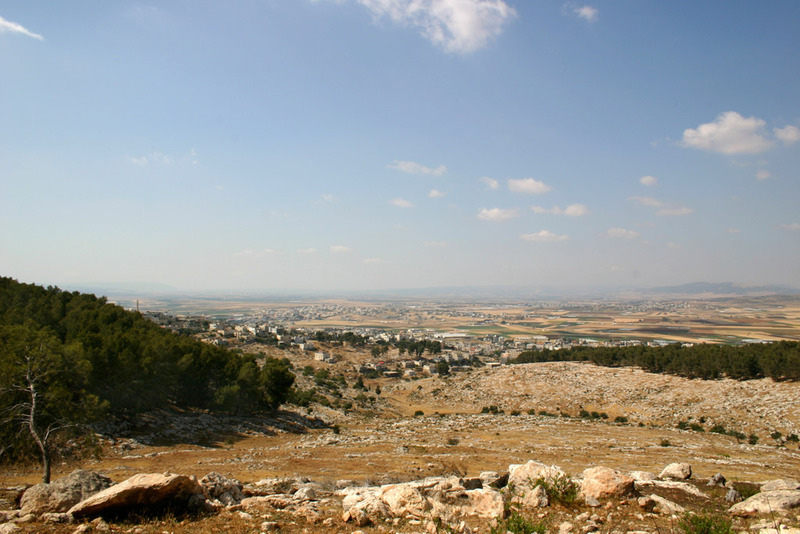 Homesh, near Nablus, is located on a hill that towers over the village of Burqa. 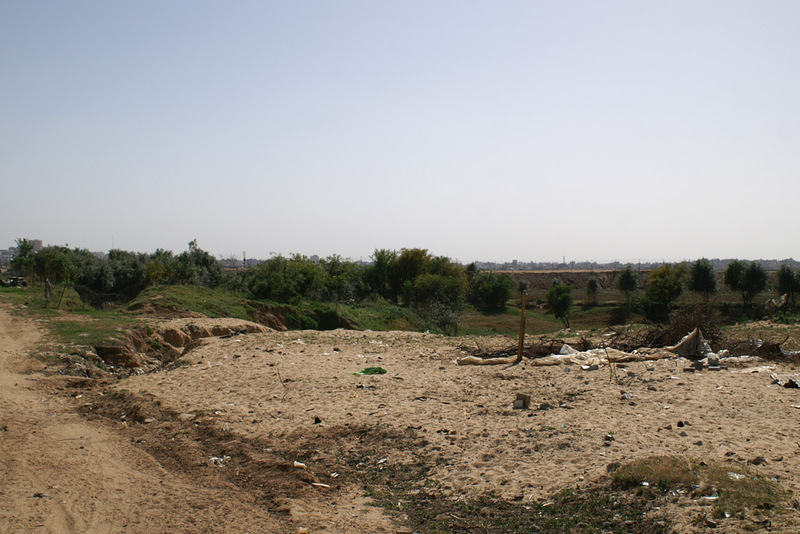 The land the settlement occupies is owned, in small parcels, by the villagers of Burqa. It was primarily used for agriculture, a well-known area for apple orchards. After the evacuation, the landowners began to use the hill and repair the terraces they used for cultivation. In July of 2007 the settlers returned to reoccupy Homesh. 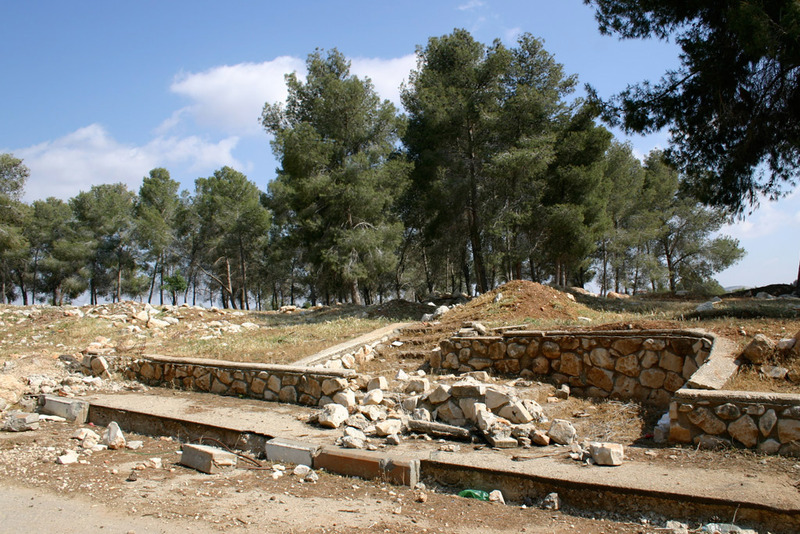 They organized a movement in Israel called Homesh First which supports the settlers by bringing them food and water, allowing a small number of settlers to continually occupy the hilltop. According to most maps, this area was supposed to have returned to Palestinians. In reality, the settlers are more violent and reactionary toward the citizens of Burqa then before the original evacuation. They have been known to steal sheep and tools from the villagers and light their cars on fire. 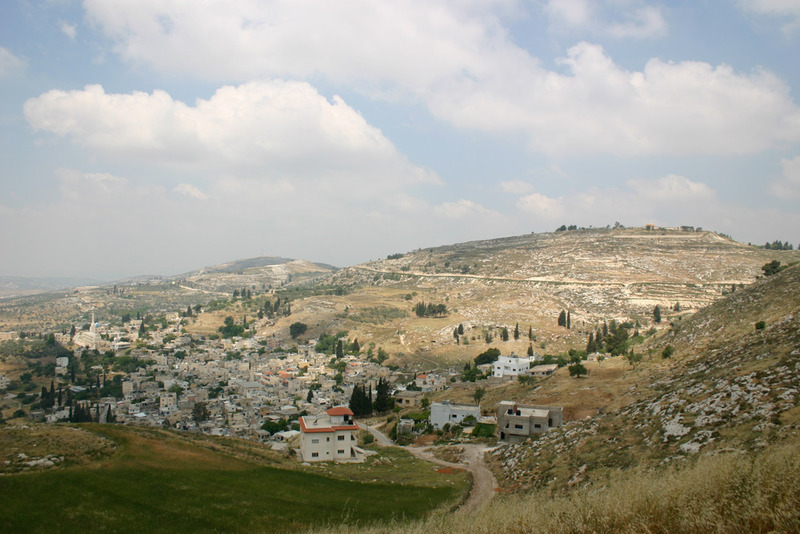 Kaddim was the settlement closest to the city of Jenin; as is customary it occupied a hilltop overlooking the city. 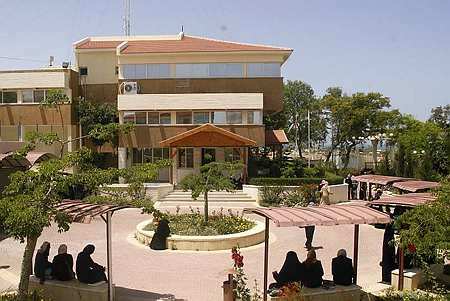 Built on land belonging to the Jenin Municipality, the settlement made life very difficult for Jenin residents. 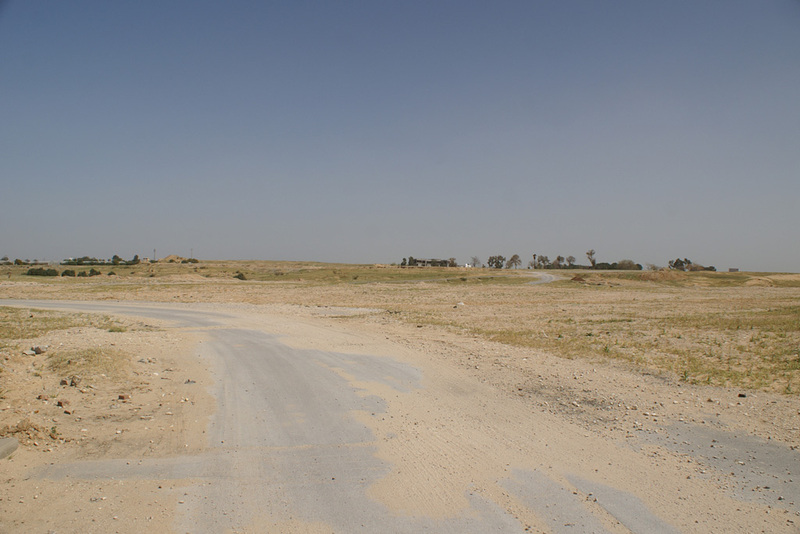 The military incursions into the city were executed from the settlement and as a result of the transformation of the traditional road network into a segregated two-tier system, a trip that used to take 4 km took residents 40 km because they did not have access to the bypass road. The private homes in the settlement were pre-fabricated and at the evacuation they were taken apart and moved by the settlers. As a result very little rubble remains. 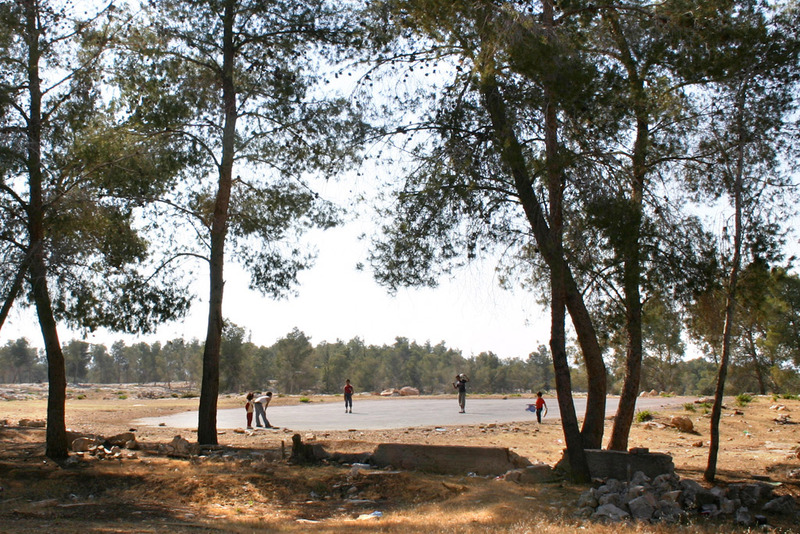 This has made the subversion and reuse of the landscape less problematic for Palestinians: The place has turned into an informal city park, used for picnics, barbeques and football games. 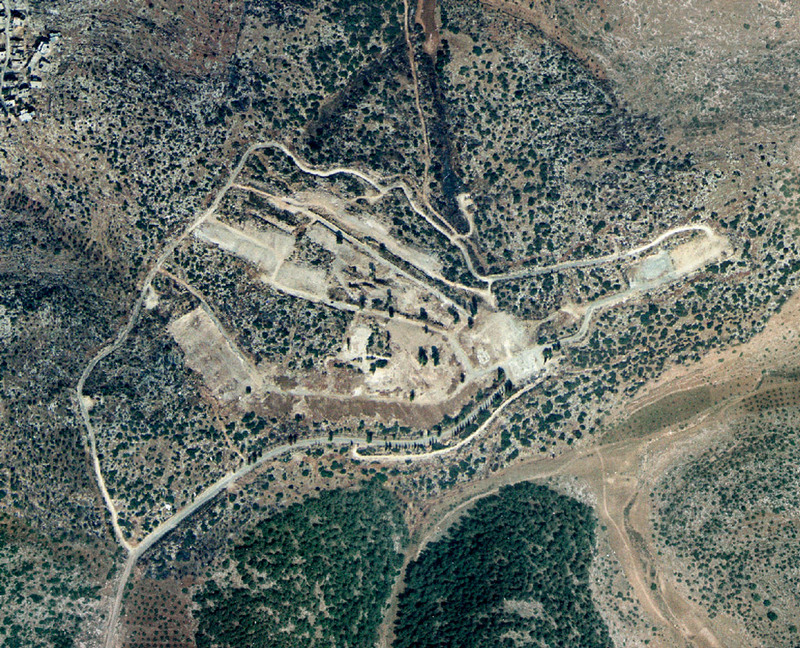 Although the spirit of decolonization is visible in this location, there is still a military order over the land the settlement sat on, so any new building or development is forbidden. 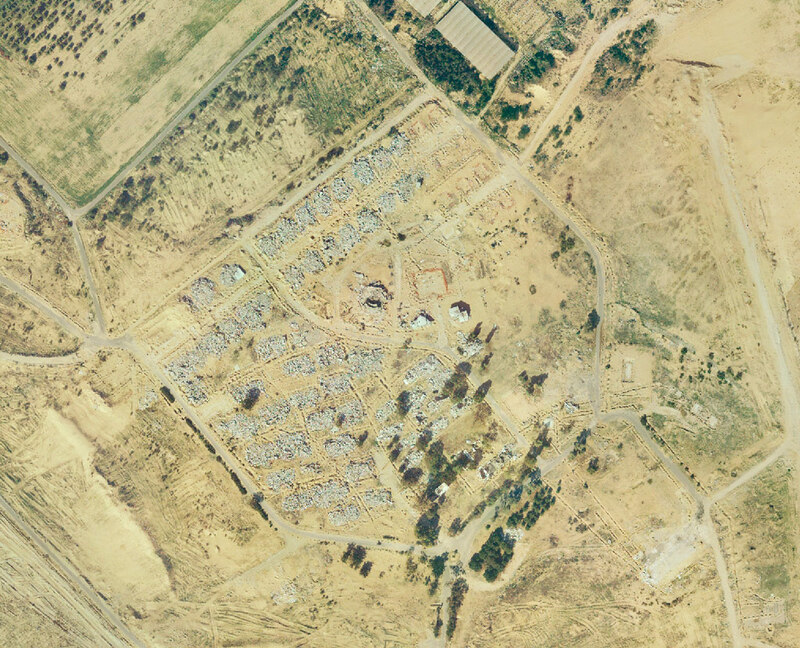 Netzarim was an Israeli settlement in the Gush Katif bloc of settlements in Gaza. 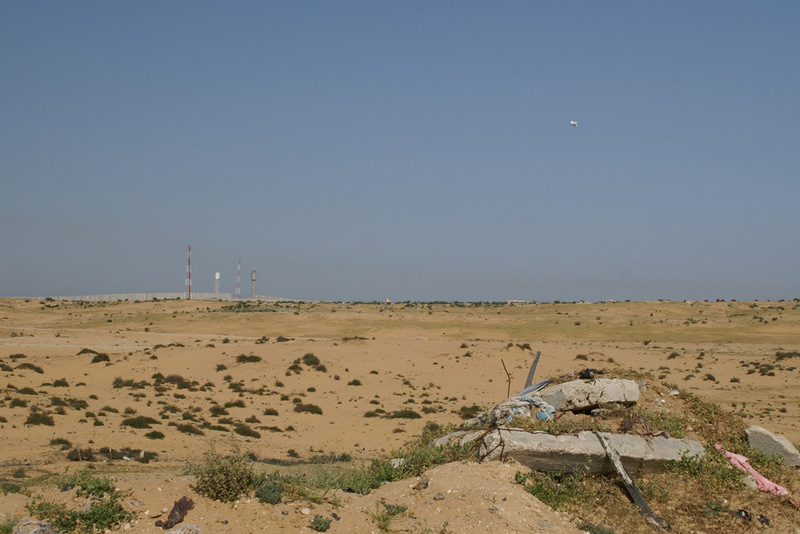 Established in 1972, it was the last settlement in Gaza to be evacuated (on 22 August 2005) and in this sense its eviction marked the end of the Israeli presence in the Gaza Strip since 1967. Almost every structure of the settlement, except for the greenhouses bought by the UN for the Palestinians, was completely demolished by the Israelis and today just very few buildings and some roads testify the former presence of a settlement. 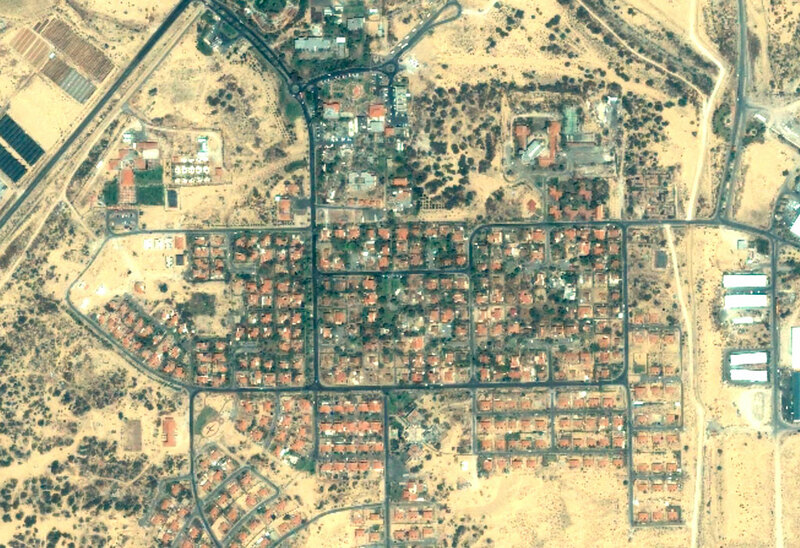 Neve Dekalim was an Israeli settlement in the Gush Qatif settlement bloc in the Gaza Strip. It was founded in 1983 on sand dunes that were previously uninhabited. It was located between the Palestinian city of Khan Yunis and the Mediterranean Sea. 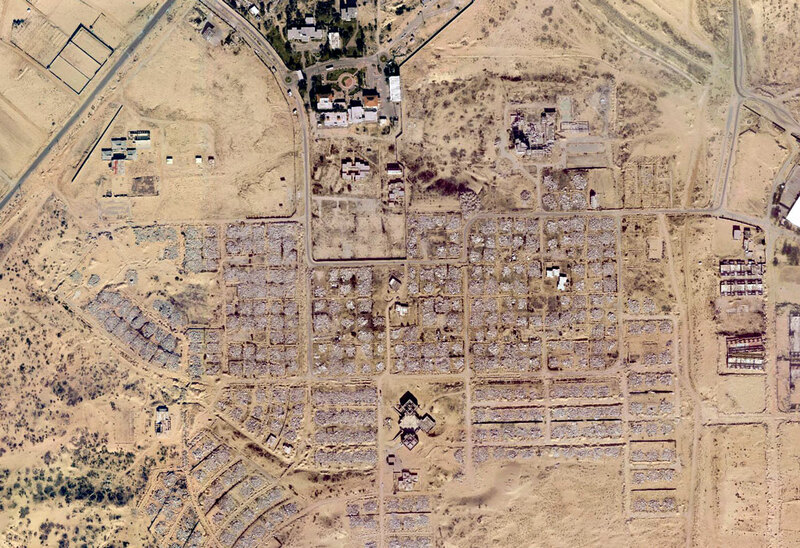 It was the largest Jewish settlement in the Gaza Strip and served as the commercial center for the primarily agricultural settlements surrounding it, particularly for the residents of the Gush Qatif bloc. 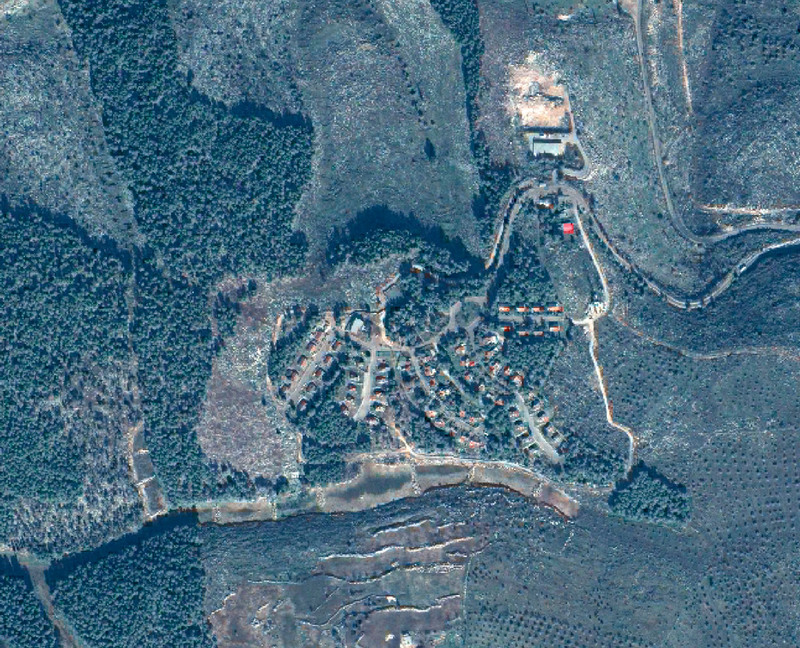 The evacuation of Neve Dekalim began on August 15, 2005 and was completed on 18 August. 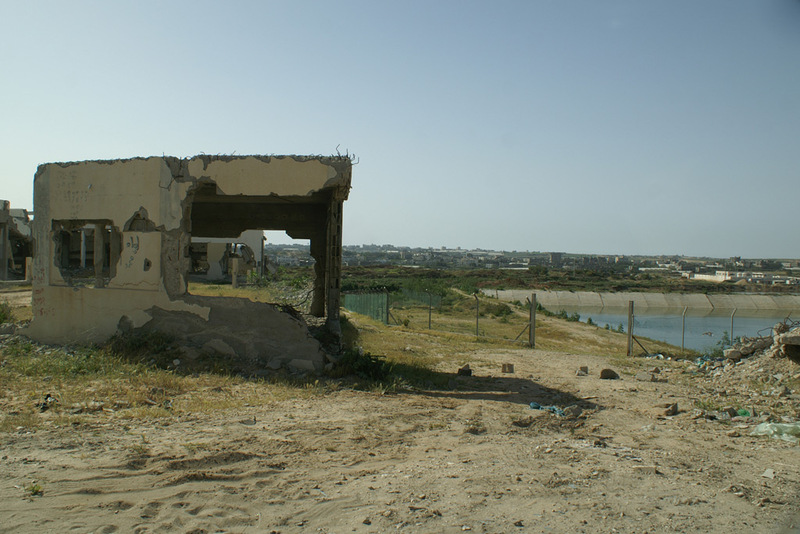 The homes were bulldozed, though the infrastructures were left intact as the UN bought them from Israel for Palestinian re-use. However, shortly after the Israelis left, Palestinians partly destroyed the greenhouses. 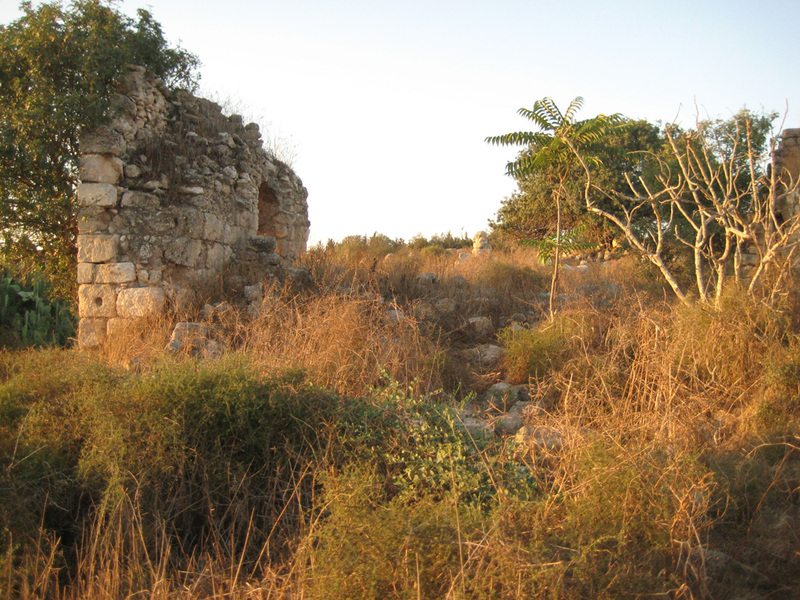 Nisanit is one of the three former settlements in the very northern part of Gaza (together with Elei Sinai and Dugit). 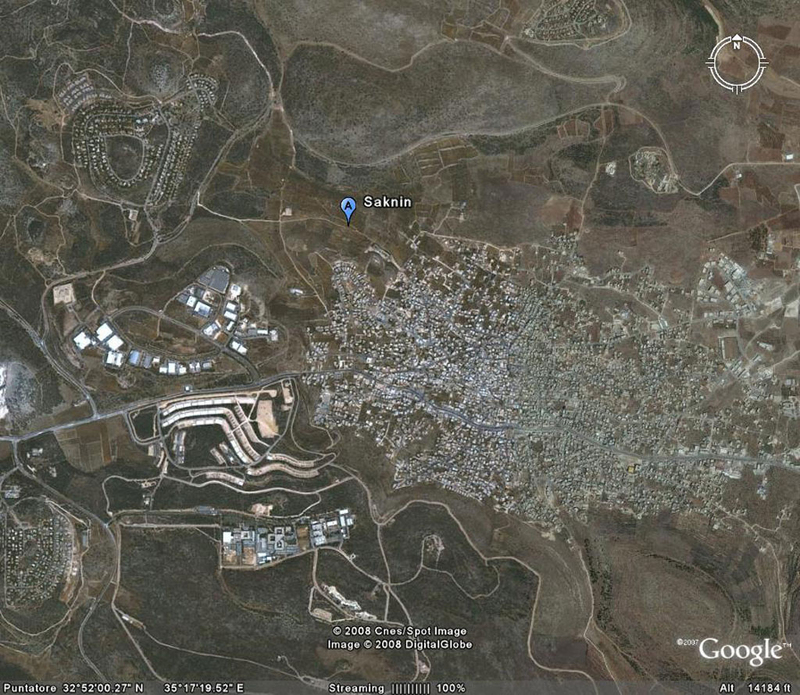 Like Netzarim, here today it is almost impossible to see where the settlement used to be. Everything except for a few buildings has been completely erased from the landscape. The Galilee is located within Israel’s borders, to the north of the West Bank and bordering the Golan Heights and Lebanon. 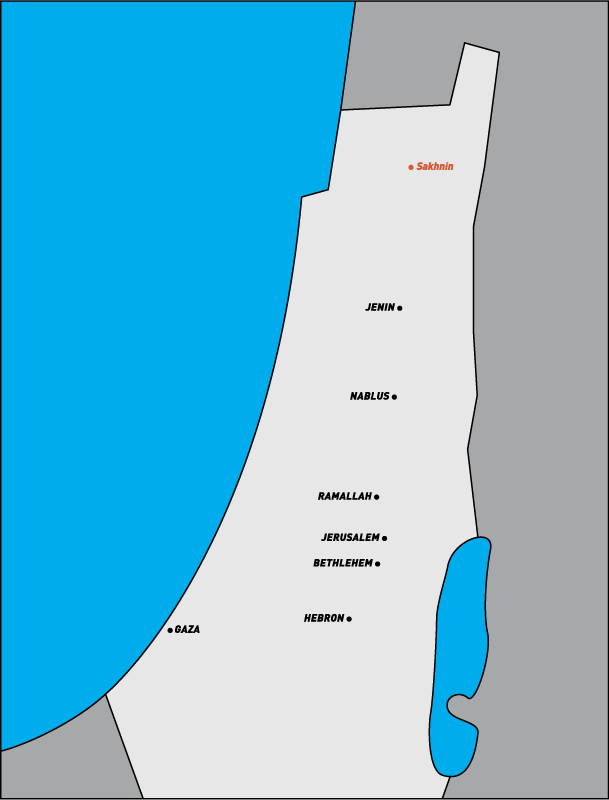 From 1948 – 1966 residents lived in Israel under martial law (Yossi Klein – The Other Israelis). In 1976 they were subjected to an Israeli settlement plan known unofficially as “Judaize the Galilee”. The plan began as a classified document by Yisrael Koenig. Written for the Israeli prime minister, it advocated “the possibility of diluting existing Arab population concentrations” ( BADIL – Ruling Palestine: A History of the Legally Sanctioned Jewish-Israeli Seizure of Land in Palestine). 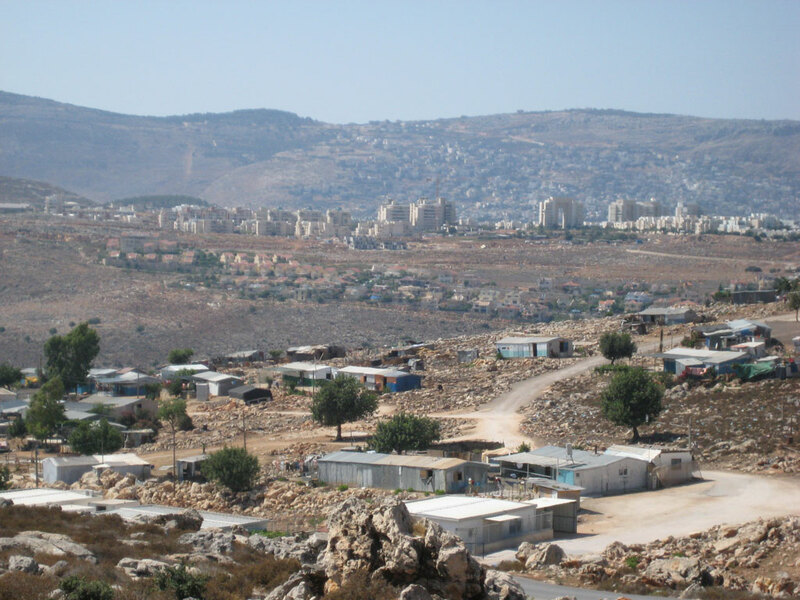 In the Galilee they planned to reduce the number of Palestinians by subsidizing the building of settlements. Incidentally the report also suggested ways to make universities in Israel more difficult for Palestinians with Israeli citizenship to attend, forcing them to look for universities abroad. 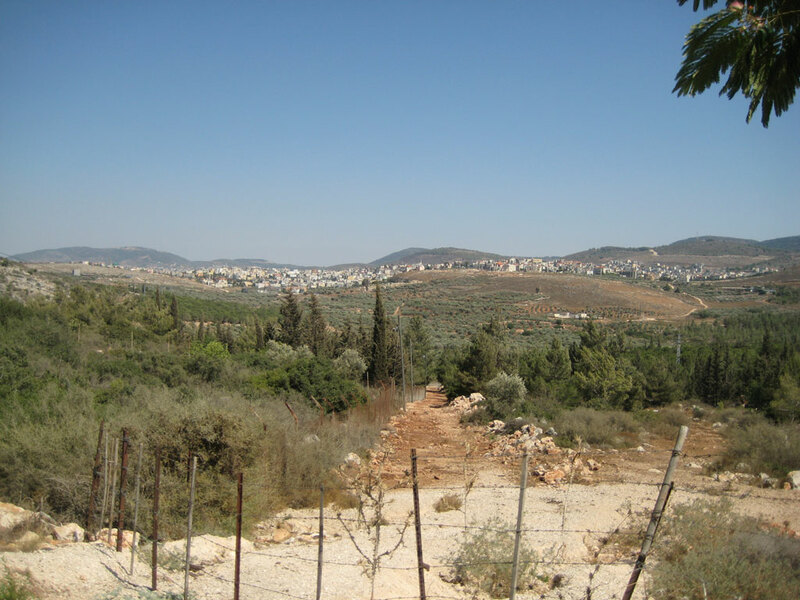 The Koenig report was leaked to the press after the Israeli government had confiscated 70,000 dunums of land from around the Galilee (Adalah – Israeli Land, Planning and Settlement Policy). The confiscations led to the uprising in Sakhnin in March, 1976 when six Palestinians were killed by Israeli police. 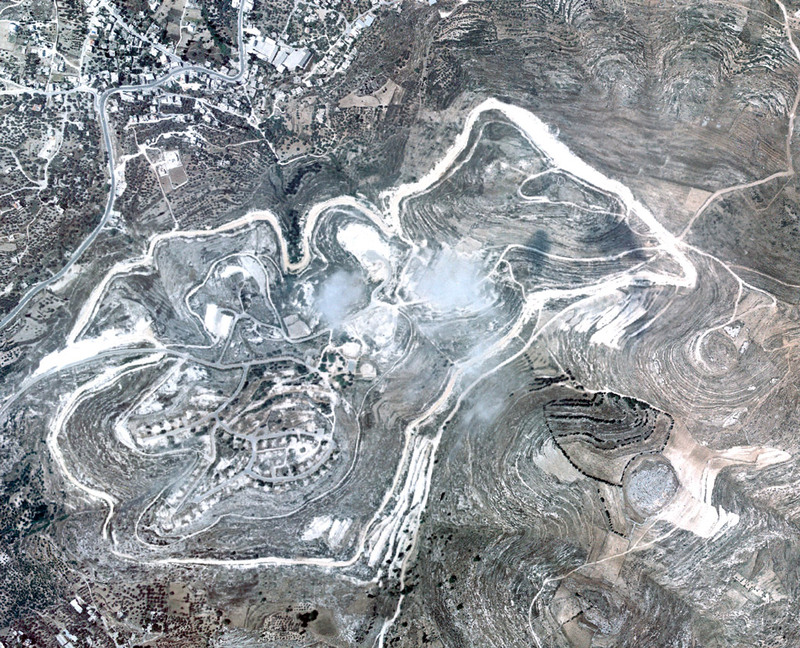 Settlements, a settlement-industrial zone and a large military base surround Sakhnin. 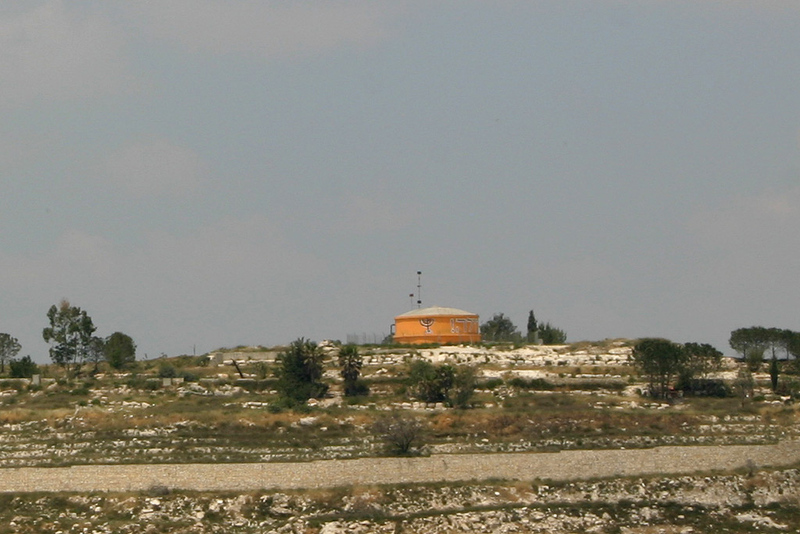 The settlement of Yuvalim (founded as part of the Israeli government policy to “Judaize the Galilee”) overlooks the Palestinian village of Sahknin. 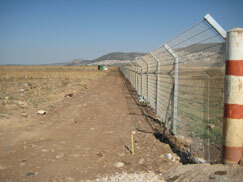 Yuvalium sits on farmland expropriated from Sakhnin. The settlement was completed in 1982 and is developing plans for further expansion. It’s former name in Arabic means “Between Two Caves”. 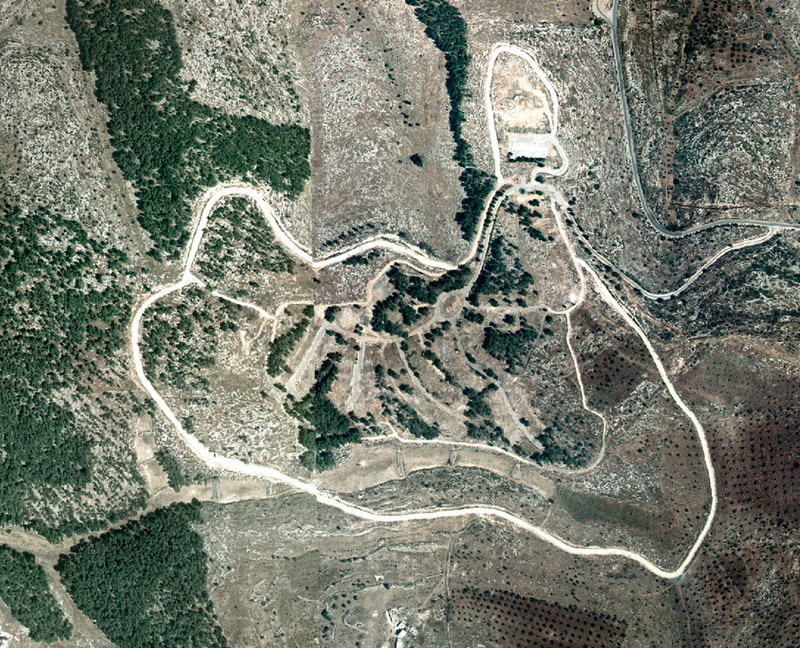 The settlement of Eschar is also visible from Sakhnin and is connected to Yuvalim by a smooth paved road. 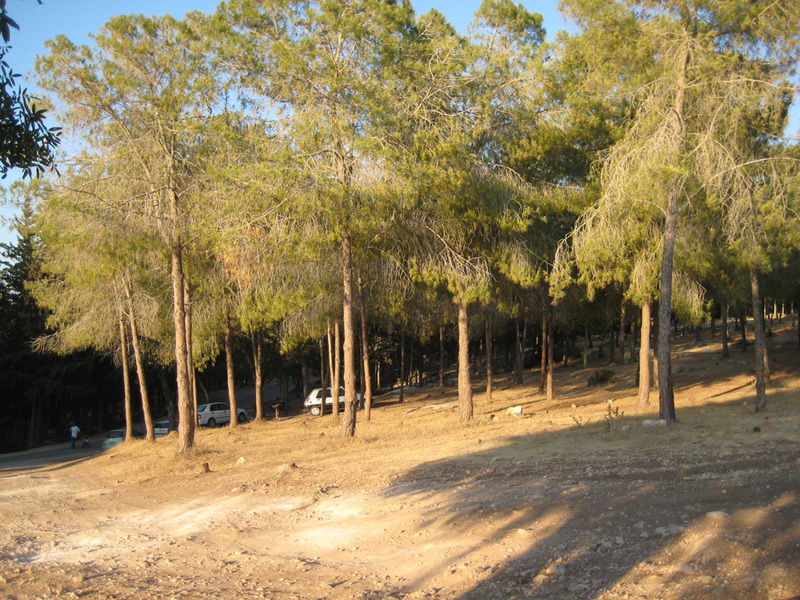 The former Arabic name of this hill is Jabal Abu Karat. 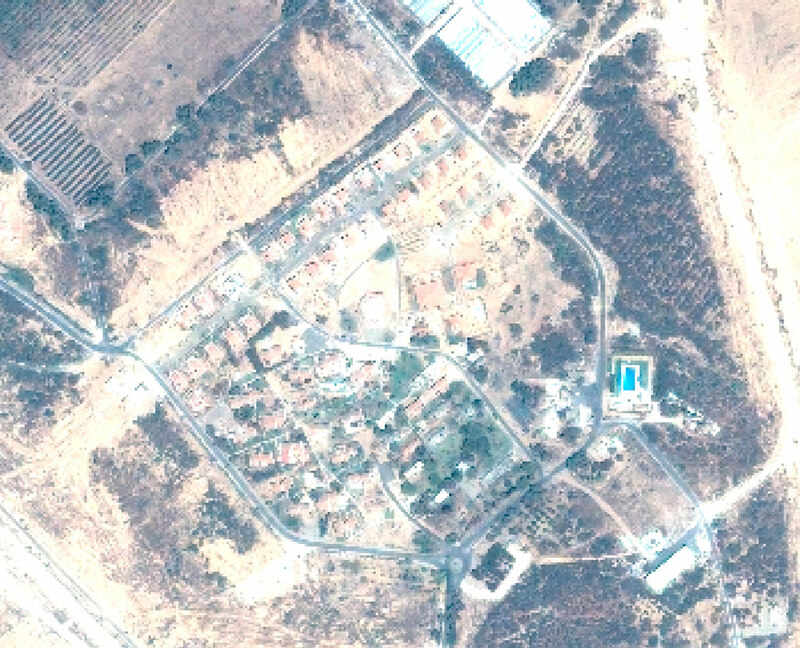 Eschar and Yuvalim are part of the Misgav Regional Council that includes settlements and gated communities across the Galilee. The Galilee reflects layers of colonization. 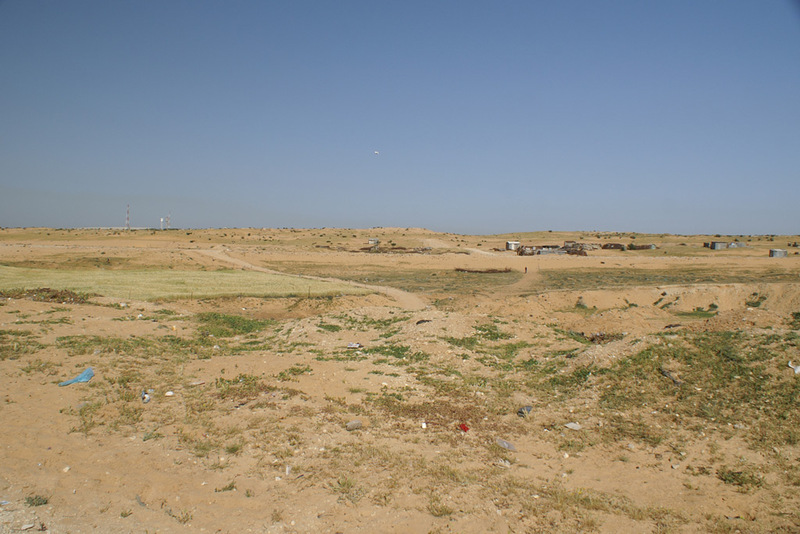 Between settlements lie Bedouin villages like that of Arab Naim. 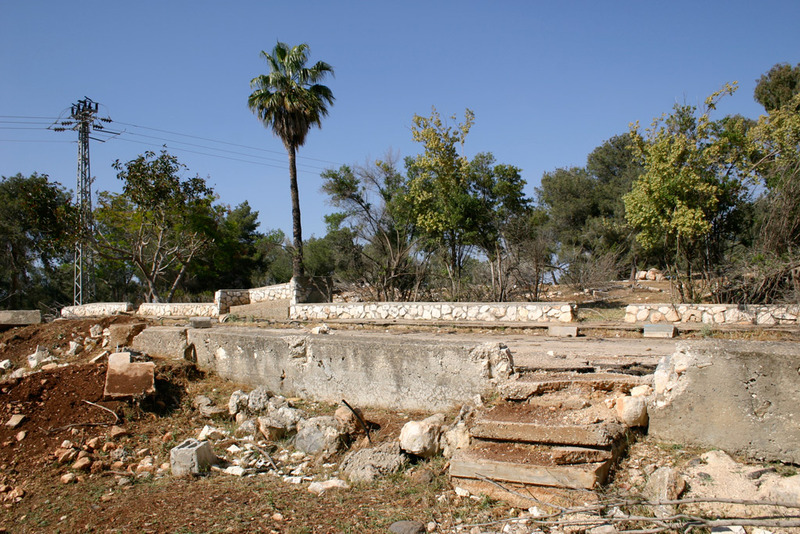 The inhabitants were originally displaced by the creation of the city of Karmiel, which is visible to the north. 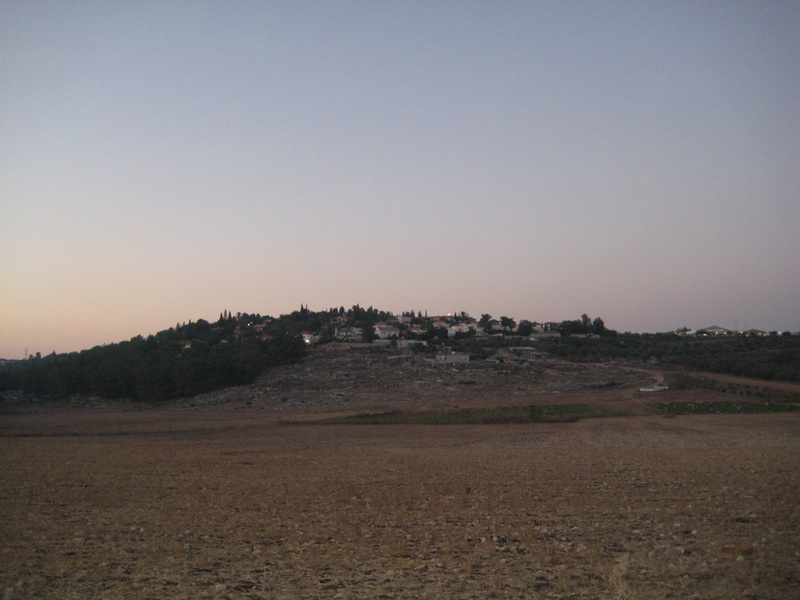 Between Arab Naim and Karmiel is another settlement, Michmanim. 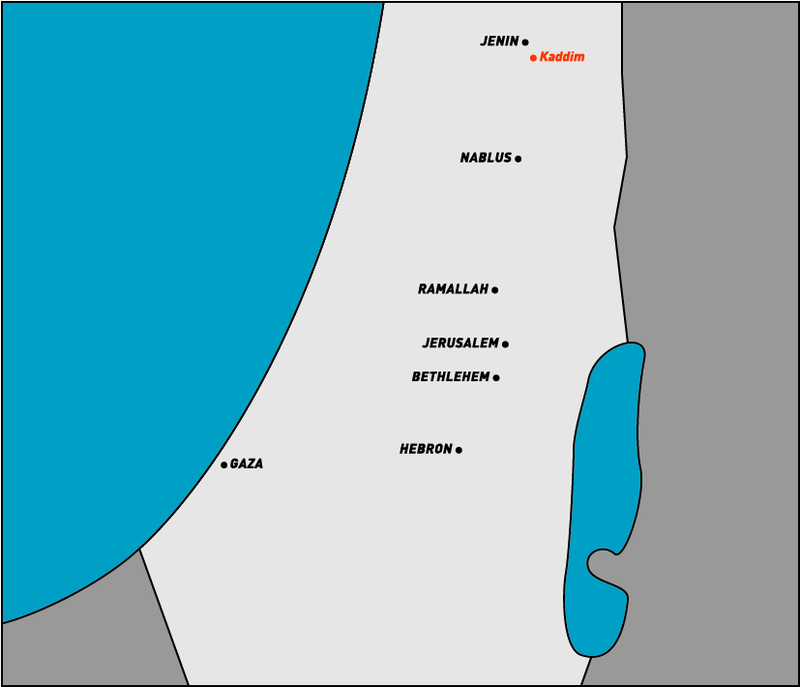 To the south of Sakhnin lies a clear case of spatial inequality. The Batouf is 6200 hectares of fertile agricultural land spanning a large valley. It is divided into individual parcels for various family farmers. 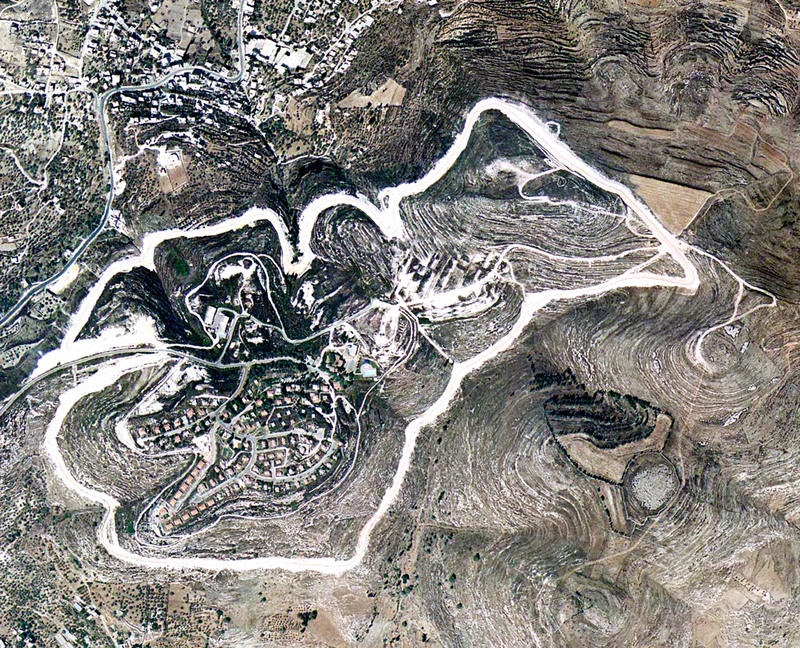 Cutting directly through the center of the Batouf is a large Israeli controlled water canal. Nine meters wide, the canal is surrounded by fences creating a zone that is actually 100 meters wide. Bridges crossing the canal are built in only four places creating long and unnecessary trips for many farmers to reach their land. 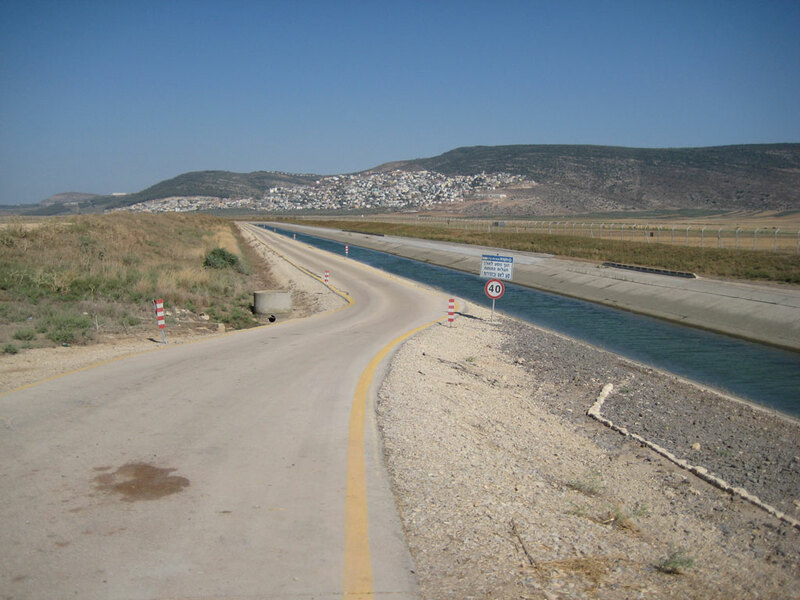 The canal is used to funnel water from the Galilee to the government’s Eshkol facility a few kilometers away. Eshkol filters the water and pumps it to the Negeb (Negev) Desert where the water is then used for agriculture and settlements. Ali Zubeidy and his family have built themselves a house on land that has been in his family for generations. According to settlement policy, his house is built within the settlement buffer zone. The street beside his house is the dividing line. 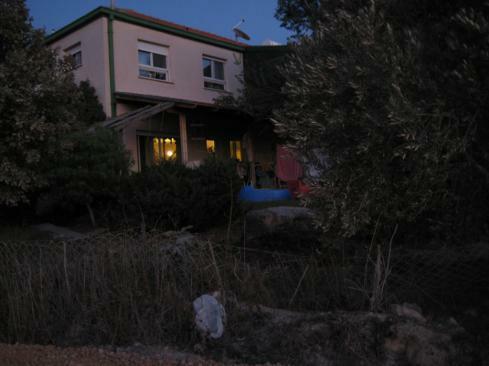 Therefore, his house is illegal according to the Israeli settlement policy and each year he is fined or imprisoned for not destroying his home. 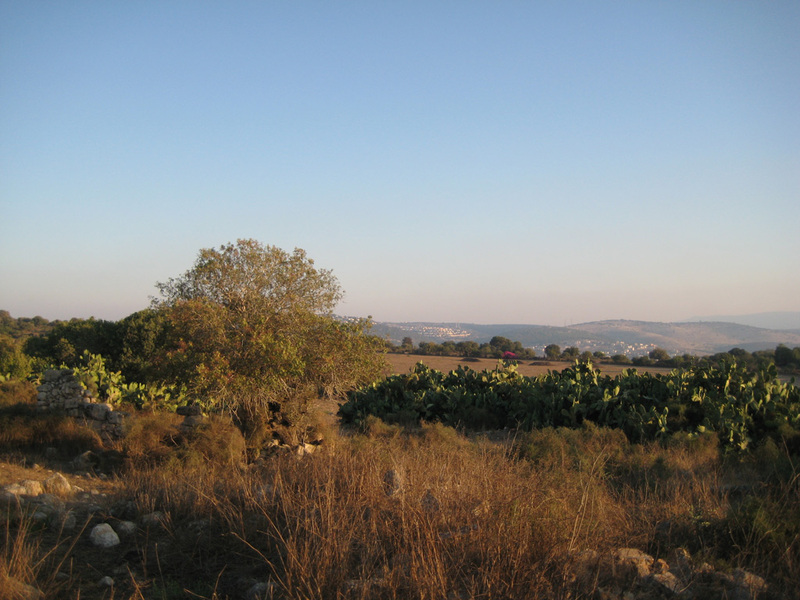 Shefa’Amr is a small village in the Galilee that has been forced to grow illegally beyond its zoned borders. As the population grows, they are unable to get building permits. It is especially difficult for the Bedouin neighborhood on the opposite side of the highway from the center of Shefa’Amr. Driving from the dirt road that connects this neighborhood with one of the Palestinians villages destroyed in 1948, one of our guides tells us that families lived, worked, loved and died for generations under these olive trees. 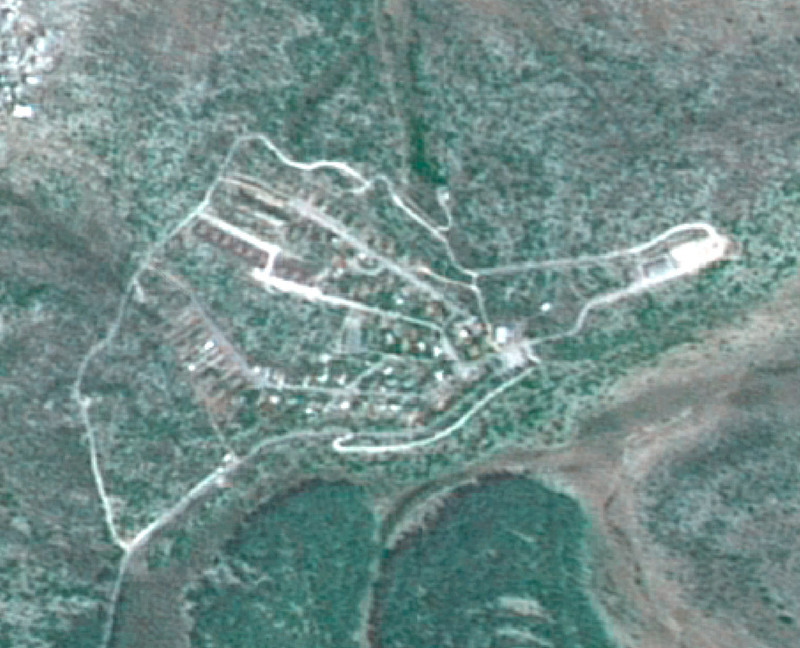 The village of Howsha is hidden behind a new and artificially planted park, complete with concrete picnic benches. Cardboard signs designate the space as the site of a famous Israeli victory in 1948, illustrating native wildflower and cactus species growing over the ruins of the stone buildings. People remember visiting this site with their families, picking wild anise and harvesting the wild asparagus in the spring. From Howsha a dirt road connects two settlements, Adi and Harduf. We visit a farmer whose land lies in the valley between the settlements. He grows organic watermelon and though he served in the Israeli army, he views it as purchasing his freedom. 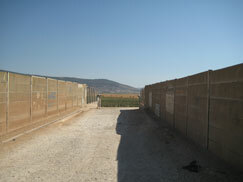 Harduf markets itself as a Kibbutz with an organic farm and a Waldorf school, though it is still gated and guarded. 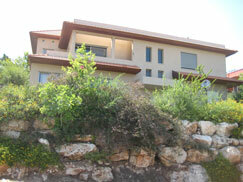 The settlement has a breathtaking view of Haifa and the Mediterranean ocean. From Harduf we reach Adi and it is apparent that Adi is wealthier. 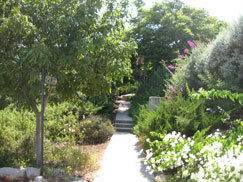 Adi includes newer buildings, lush landscaping and private driveways. The area of Harduf and Adi was know in Arabic as “Place of the Lizards”.